Welcome to Easy Jewish Family Fun! These FREE dynamic programs are brought to you by Jewish Federation of Greater MetroWest NJ, PJ Library, Golda Och Academy, and Gottesman RTW Academy. 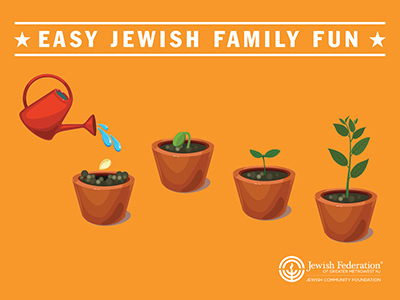 These programs are geared toward families with young children and provide opportunities to experience Jewish learning and connect with other families. Sunday, May 5 • 10:30-11:45 a.m. 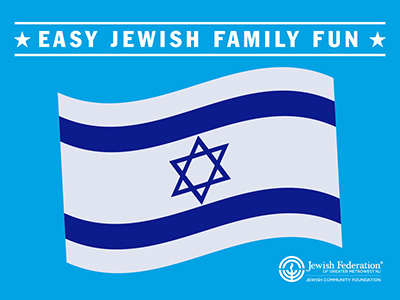 Celebrate Israel’s birthday with some Yom Haatzmaut fun! Israeli arts and crafts projects, food tasting, and dancing are just some of the fun activities we’ll be doing! Best for ages 3-6. Sunday, June 23 • 12:30-2 p.m. Enjoy the fruits of our labor in the Gottesman RTW Academy community garden. For more information, contact Justin Sakofs at jsakofs@jfedgmw.org.